My shipping meme. . HD Wallpaper and background images in the soul eater club tagged: photo. 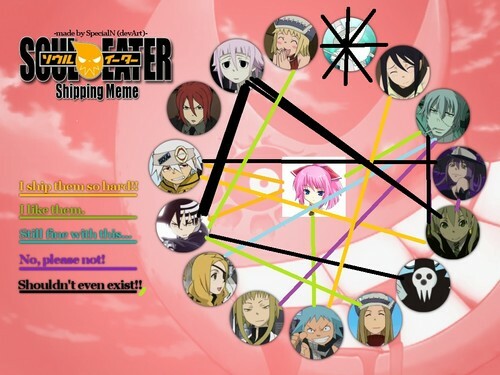 This soul eater photo contains vitral, roleta, roda, roda de roleta, and disco. There might also be fenda, um bandido armado, slot, slot machine, máquina de moeda, and máquina de fenda. I agree with most of this, I wouldn't even want to think of Excaliber being an option either!